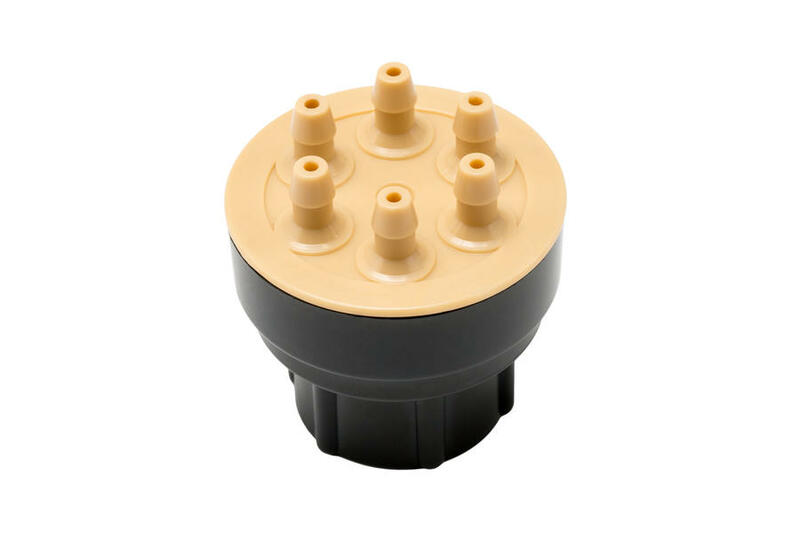 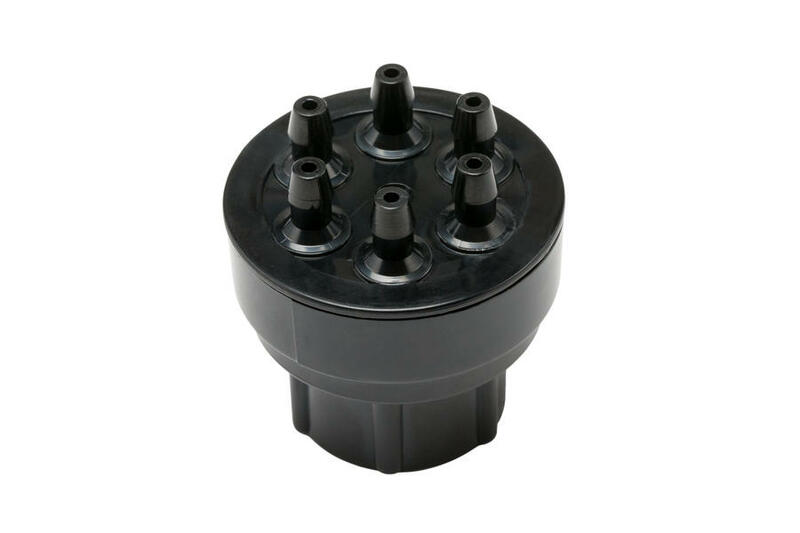 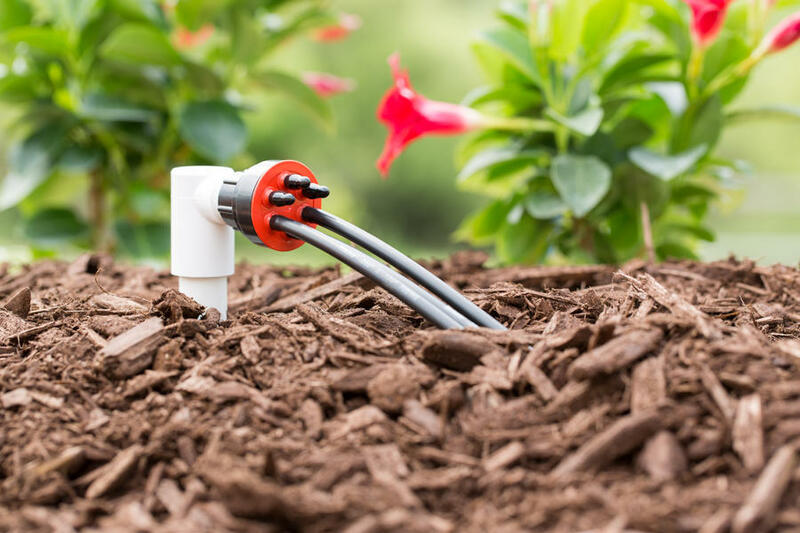 Hunter pressure compensating Multi-Port Emitters (MPE's) have 6 ports per emitter and are designed for irrigating groups of plants from one source. 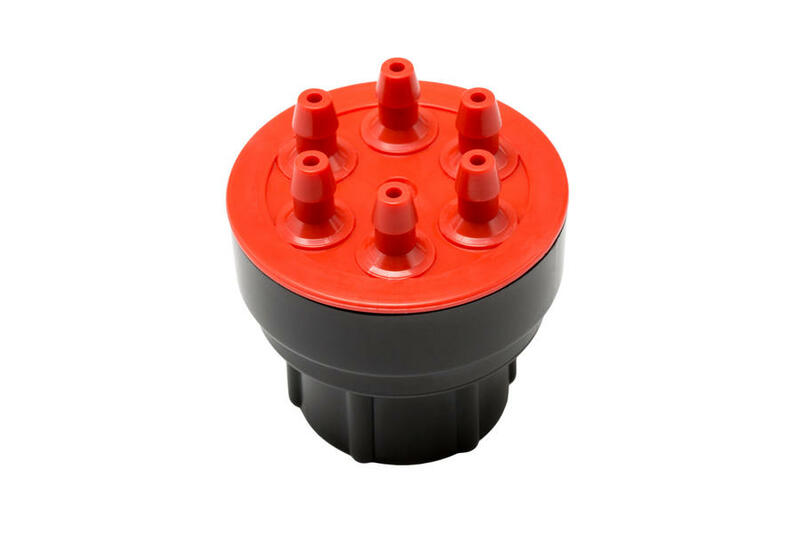 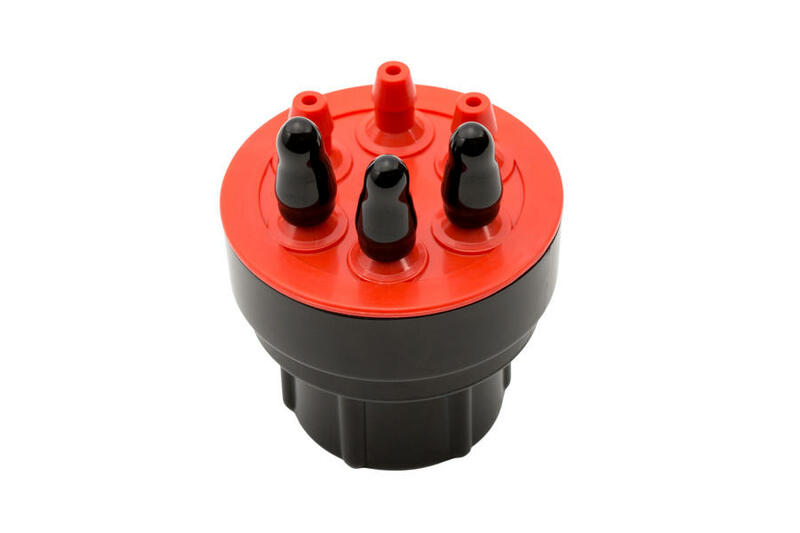 Hunter MPE's have the same color coding as the single port emitters in flows of 2.0, 4.0, 8.0, 15.0 l/hr. 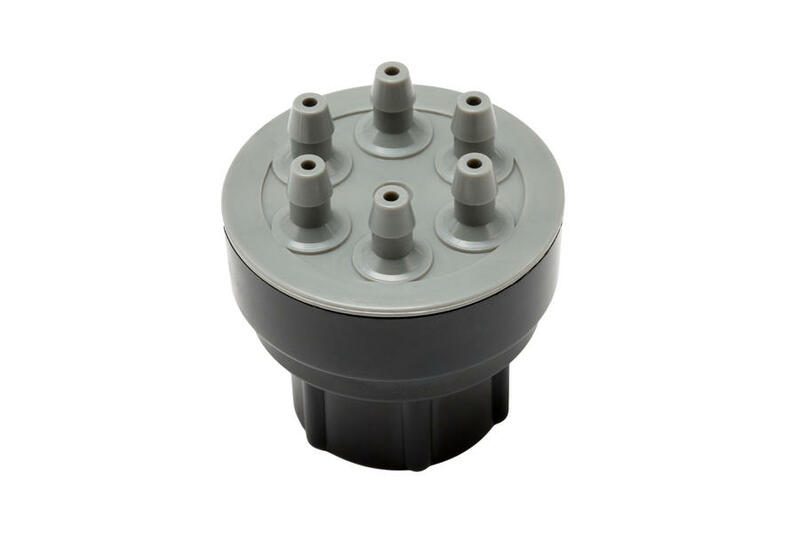 A gray Multi-Port manifold is also available, providing 6 ports of unhindered flow. 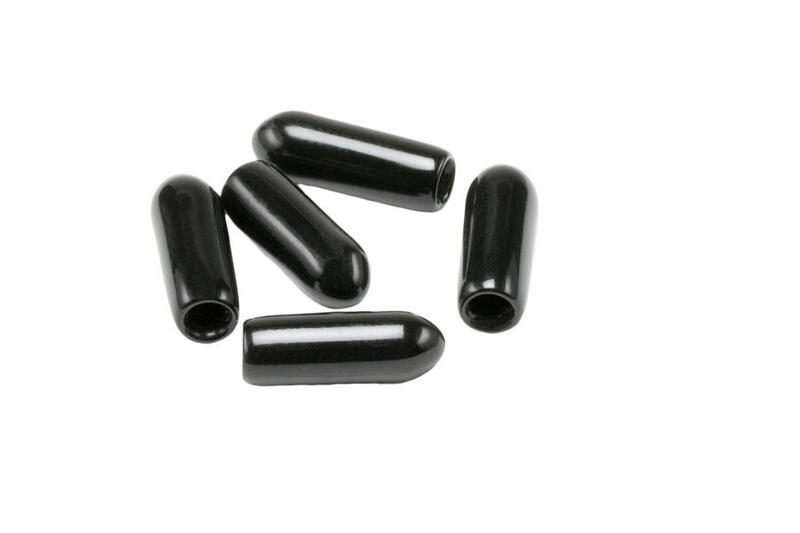 Vinyl plugs are provided to cover any unused ports. 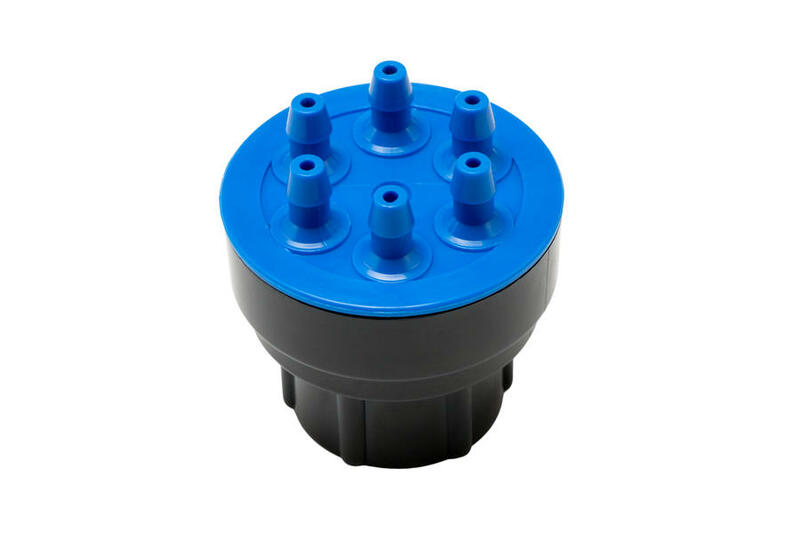 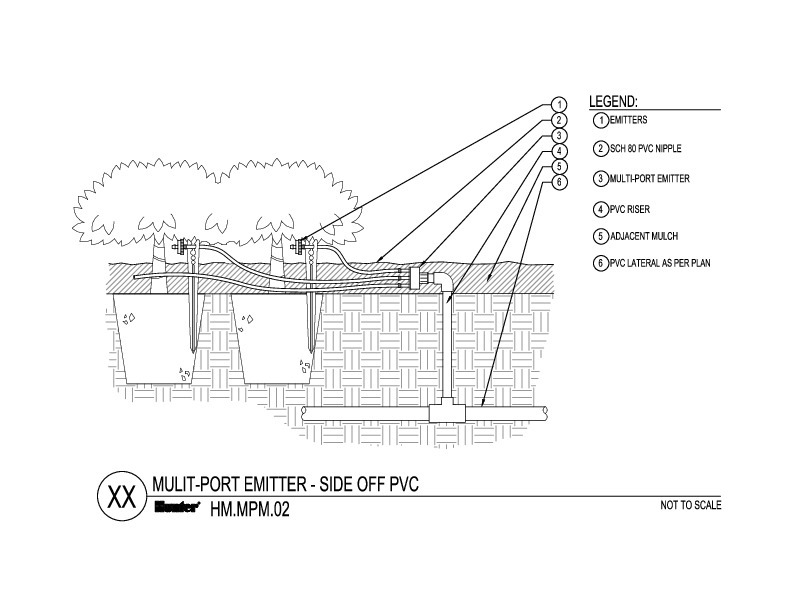 The inlet port is 1/2" FPT and the emitters may be used with any commercial drip system.